March 12th, 2017 – Sunday, 3 p.m.
Back in 1983, Tom Reilley had a grand idea for a St. Patrick’s Day march. The small group of marchers almost ended up in handcuffs when they approached Sea Pines Circle because they didn’t realize they needed a parade permit. 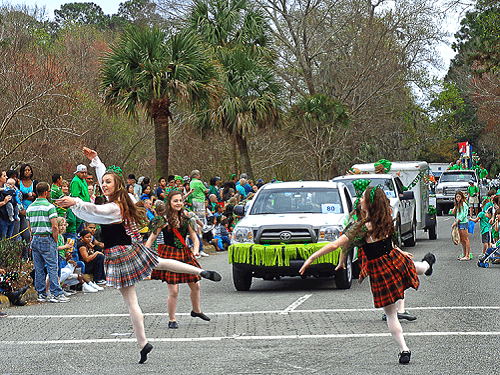 Fast forward to 2017 and the 34th Annual Hilton Head Island St. Patrick’s Day Parade is one of the Southeast Tourism Society’s Top 20 Events for March. Some 25,000 spectators gather on the parade route along Pope Avenue for one of the year’s most beloved events. That’s a pretty good crowd for an island with approximately 40,000 permanent residents. The 1985 parade had just 60 entries. 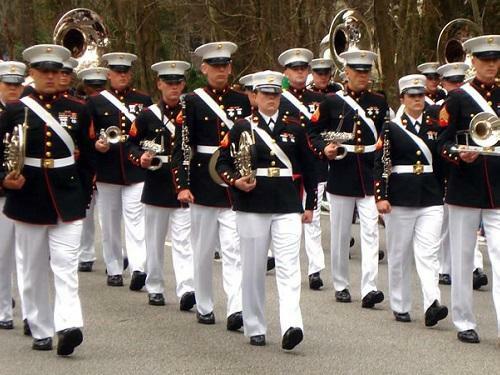 Up to 150 entries have participated in recent parades, including floats and groups representing local businesses, charities, high school and university marching bands, the U.S. Marine Corps Band from Parris Island, local dignitaries, and the always popular Shriners. 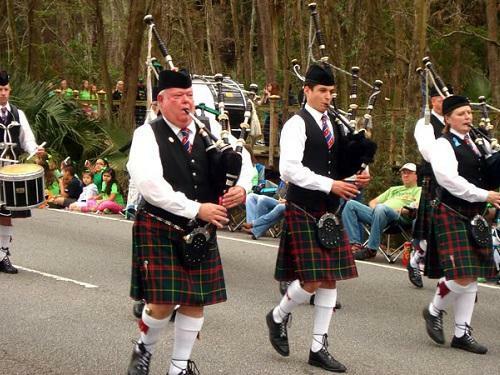 Joining the parade this year will be the Boston Police Gaelic Column of Pipes and Drums, the Charleston Pipe Band, Coastal Carolina Shields Pipes and Drums, Coastal Florida Police and Fire Pipes and Drums and Wake and District Pipe Band (Raleigh, NC). Over the years the Parade has featured the iconic Budweiser Clydesdales, military jet flyovers, and Nashville recording artists. 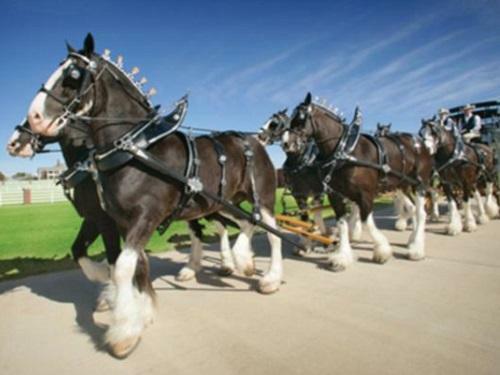 Featured this year will be the Express Clydesdales of Express Employment Professionals. These rare black and white Clydesdales weigh between 1,800 and 2,300 pounds and stand an average height of 17 to 19 hands, which is about six feet from the ground to the horse’s shoulder. If that wasn’t enough, Mr. Peanut and the Planters Peanutmobile, plus the Oscar Meyer Weinermobile will also be traveling the parade route! Visitors are encouraged to join the family fun and watch the parade as it travels from Coligny Circle to Park Plaza. Sponsors, as well as the Grand Marshals for the parade, are local to the Lowcountry area. Grand Marshals are selected based on their contributions to the Hilton Head community or the Lowcountry. The Parade Committee unanimously selected Hilton Head Town Manager Steve Riley as the 2017 Grand Marshal. Mr. Riley’s tireless efforts coordinating resources in the aftermath of Hurricane Matthew made him the obvious choice. It’s truly a community event and will serve as a great kick-off to the spring season. With the parade starting at 3 p.m., you and your family can even spend the morning on the beach then walk to the parade route. Visit the Hilton Head Ireland website, today! Be sure to share your experience at the parade with us on social media.